Meet assist at Jabalpur railway station / airport drive to Kanha National Park enroute to Mandla district. On arrival at Kanha check-in to the resort. Dinner & stay overnight at resort. Kanha National Park Morning & Afternoon Jungle Safari by Jeepsy with jungle naturalist. Dinner & stay overnight at resort. After breakfast transfer to Jabalpur for catch flight / train for back home. 02 Nights hotel accommodation on Double sharing basis. Meal Plan: Breakfast & Dinner basis. One Lunch on day second only. Pick-up & drop at Jabalpur railway station / airport by AC car. 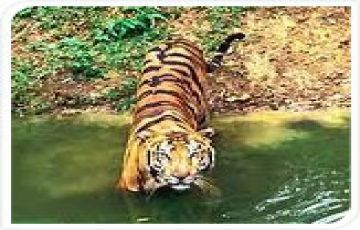 Kanha Jungle Safari by Jeepsy with Jungle naturalist ans entry fee. In Kanha Morning & Afternoon safari by Jeepsy. Air Fare / Train Tickets. Park is closed on every Wednesday in afternoon. Tour packages for Kanha Kisli F.V.